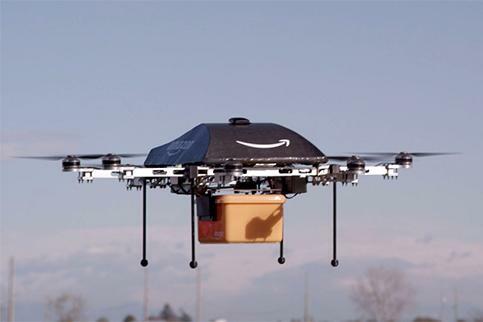 When Amazon boss Jeff Bezos unveiled plans for a drone delivery service at the end of last year, many viewed it as little more than a cleverly timed publicity stunt designed to remind consumers of the e-commerce giant’s existence. Cyber Monday was, after all, the following day. But since then, Bezos has reiterated his desire to offer customers living close to its fulfillment centers the chance to have their purchases delivered by a flying machine rather than some guy in a truck. And now the company is taking another step forward in its ‘Prime Air’ project, this week filing a request with the Federal Aviation Administration (FAA) for permission to test its small unmanned aircraft system (sUAS) in locations outside of the FAA’s designated testing sites for commercial operators. In the request, Amazon says that current rules mean that up to now it’s been forced to conduct test flights either indoors or in other countries. Now that the project has advanced, it wants to start testing outdoors at its R&D base near Seattle. The latest iteration of its Prime Air machine can travel more than 50 mph and can carry 5-pound payloads, which, according to Misener, covers 86 percent of all products sold on Amazon. It reassured the FAA that all testing would be done on private property with only Amazon employees and contract personnel present. “Granting this request will do nothing more than allow Amazon to do what thousands of hobbyists and manufacturers of model aircraft do every day, and we will abide by much stronger safety measures than currently required for these groups by FAA policies and regulations,” Misener said. The request is further evidence that Amazon is making steady progress with its plan to get packages to customers “in 30 minutes or less using aerial vehicles,” though the company will likely have many more regulatory hoops to jump through before it has any hope of getting its service off the ground. The massive Stratolaunch aircraft -- the world's largest in terms of wingspan -- completed its maiden flight in California on Saturday. The successful outing takes it a step closer to becoming part of a launch system for satellites.